One day Last week, I set out to get a simple CakePHP site up and running on Windows Azure Web Sites. 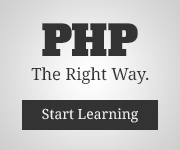 CakePHP is an open source MVC framework for building PHP applications. One thing to note about hosting CakePHP applications on Windows Azure Web Sites is that your site will be running in IIS. As such you do need to add a web.config to your deployment to get the friendly urls to work as IIS does not know how to decipher .htaccess files [Import Apache mod_rewrite rules using IIS Url Rewrite tool]. Here is a sample web.config file [found on the CakePHP site] for running CakePHP in Windows Azure Web Sites.